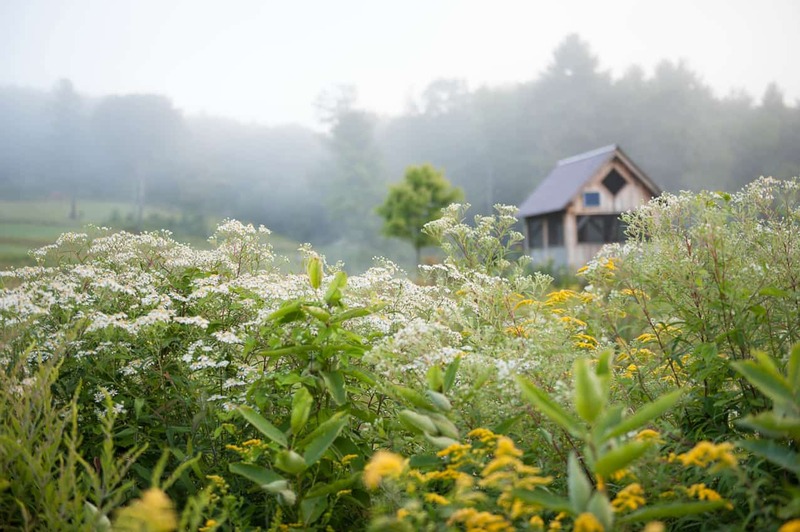 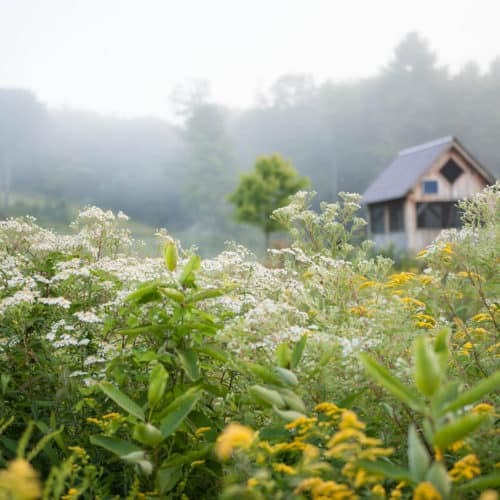 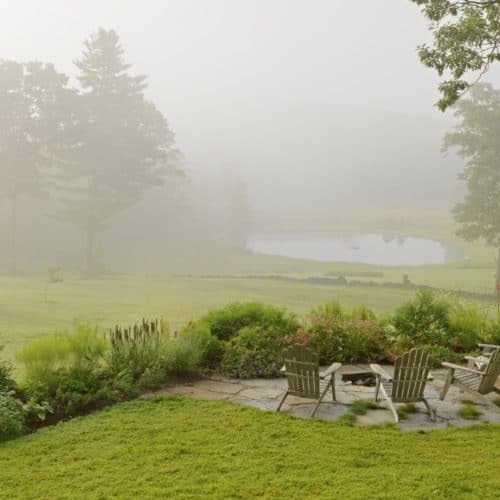 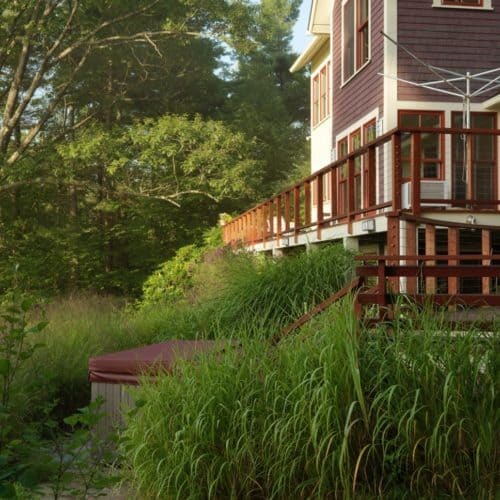 This terraced landscape in Vermont flows from a high perch on a contemporary home’s second story viewing deck through a grassy play space with a fire pit terrace, past mown fields to a swimming pond with “Lake House” and on through a wet meadow to a beaver pond beyond. 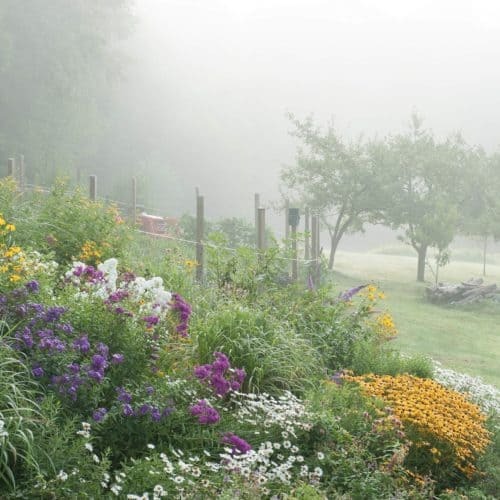 In between lie sweeping perennial and ornamental grass gardens, a circular vegetable garden, and blueberry bushes and a fruit orchard. 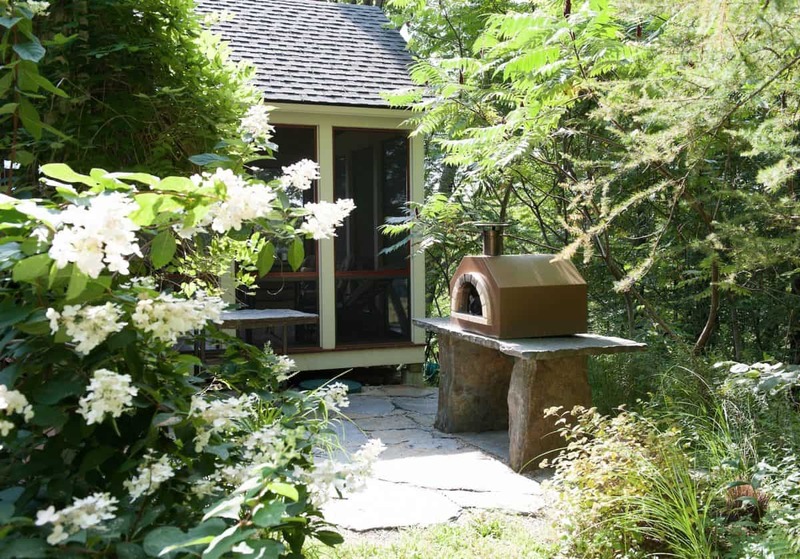 In the front yard, perennial borders soften a focal outdoor bread oven that occupies a stone terrace adjacent to a screened-in porch. 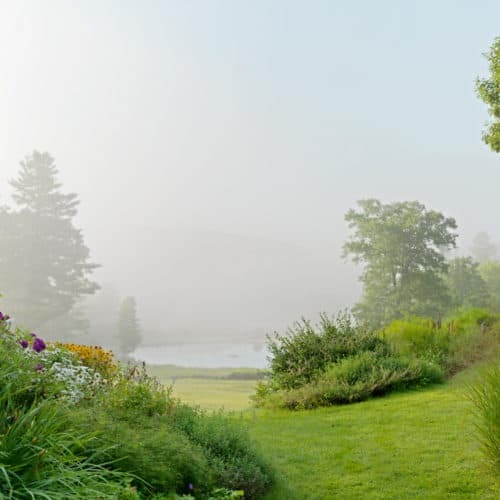 Circles and curves abound in this landscape. 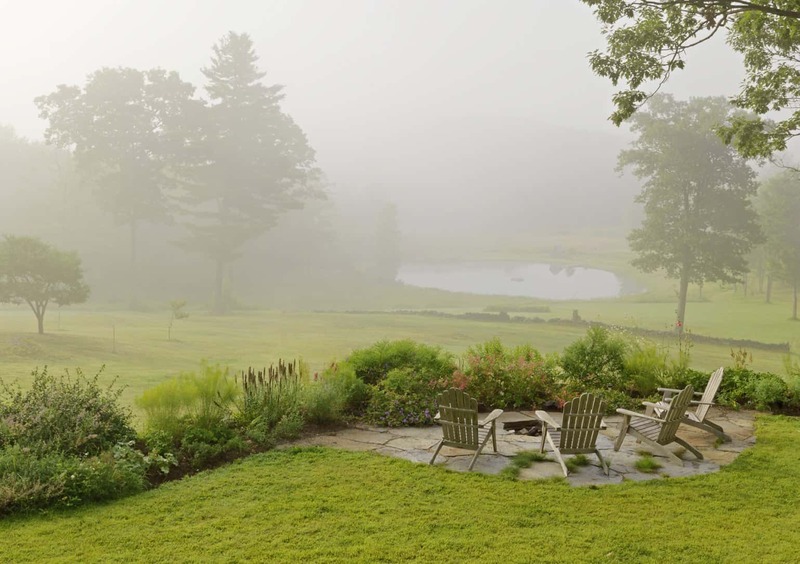 The fire pit terrace echoes the swimming pond below. 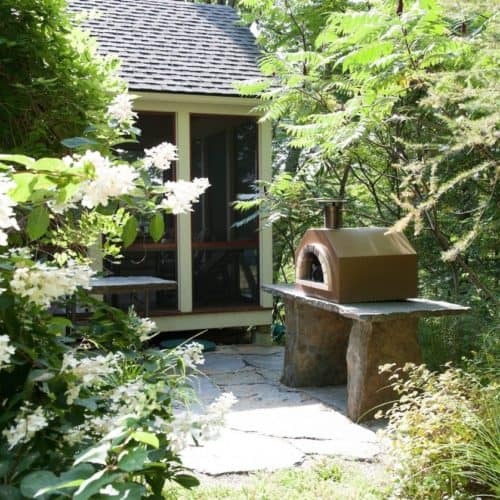 A pizza oven sits on the stone terrace adjacent to a screened-porch dining room: perfect for entertaining. 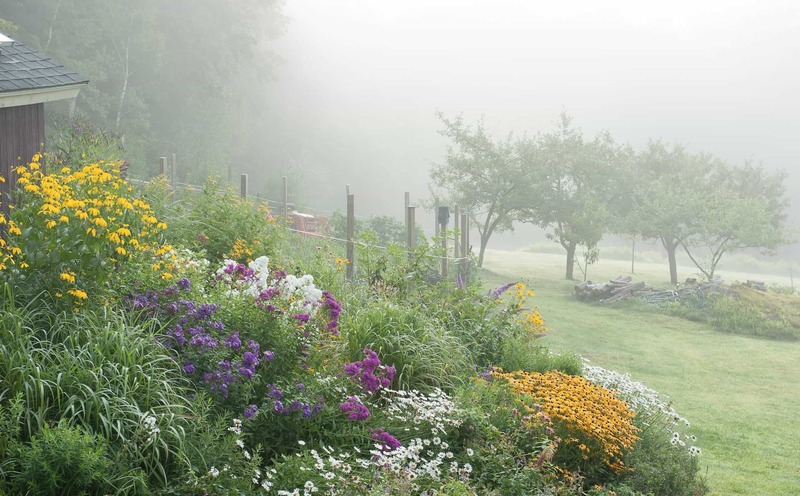 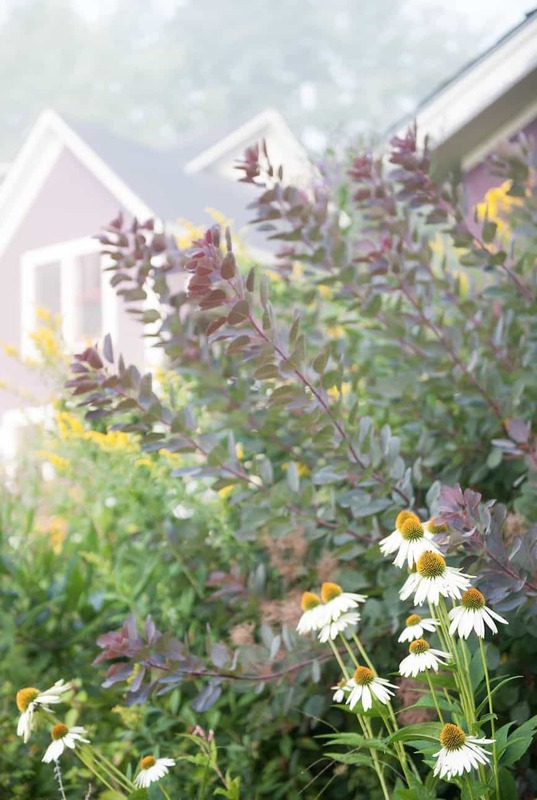 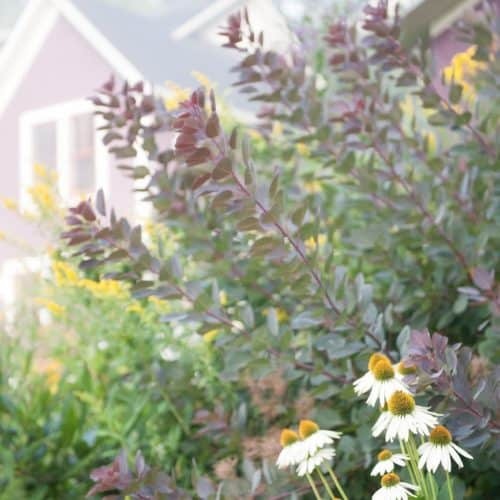 Exuberant perennial plantings next to fenced-in terraced vegetable beds turn a hillside into a beautiful and productive garden. 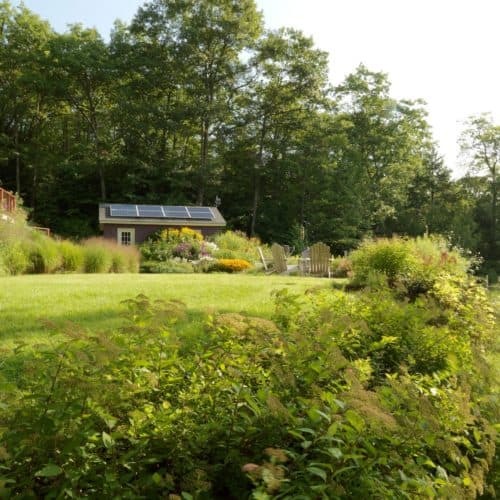 A flat pool of lawn is just the right amount of space for games and sunbathing. 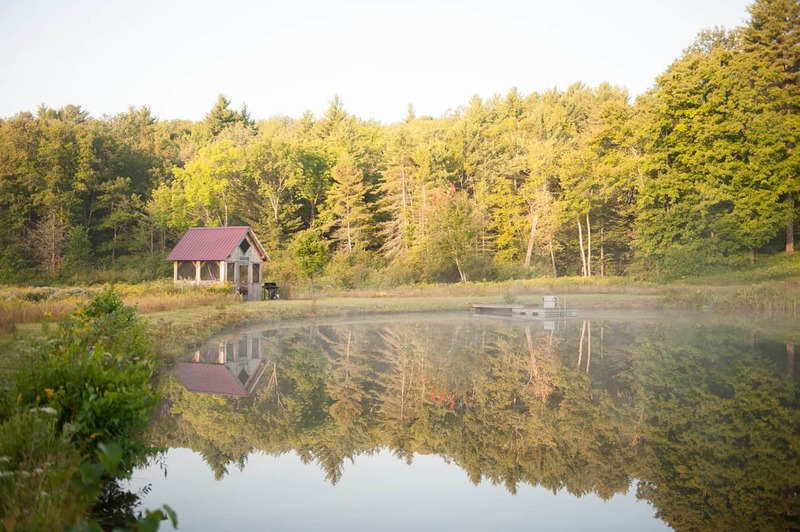 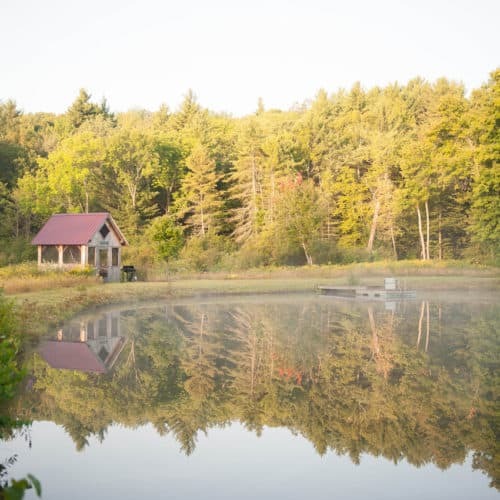 The tiny house at pond's edge is an idyllic spot for lunch or a nap. 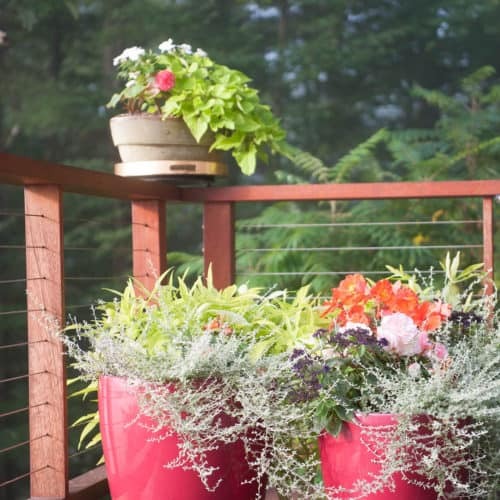 Containers of colorful annuals brighten up the deck. 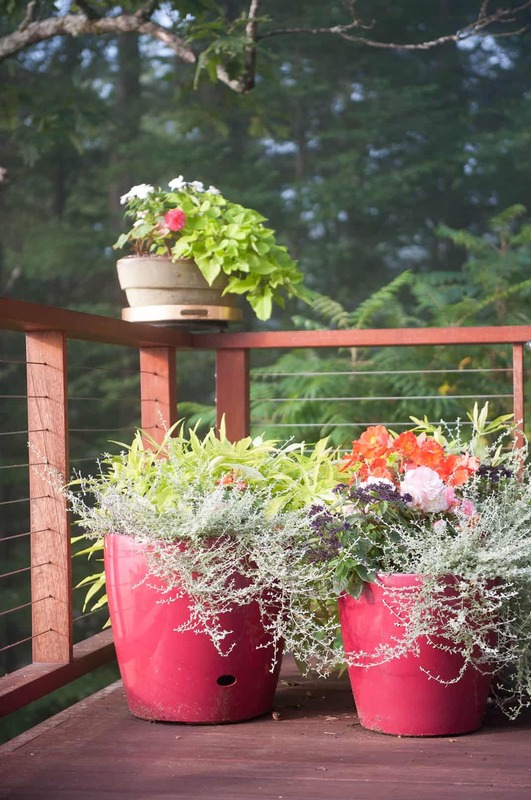 Self-watering pots make maintenance easy. 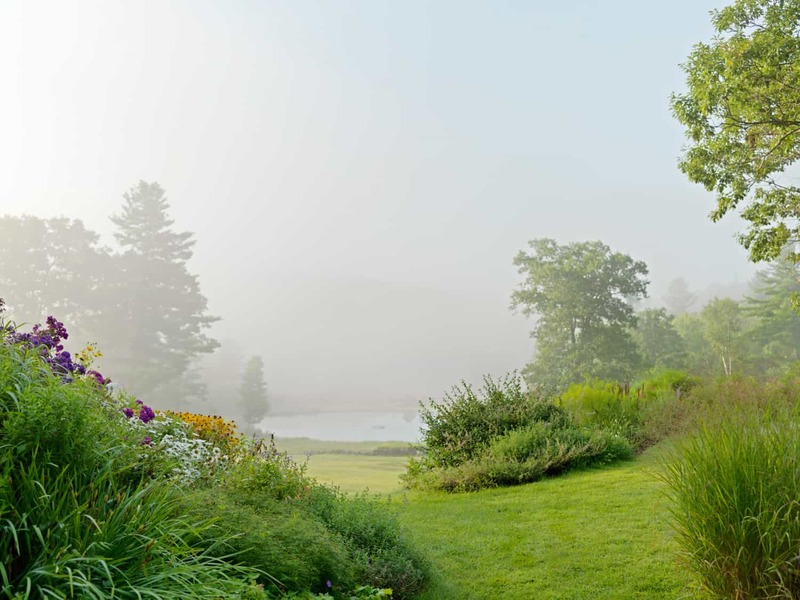 The descent to the pond is gently graded and sculpted to frame the view. 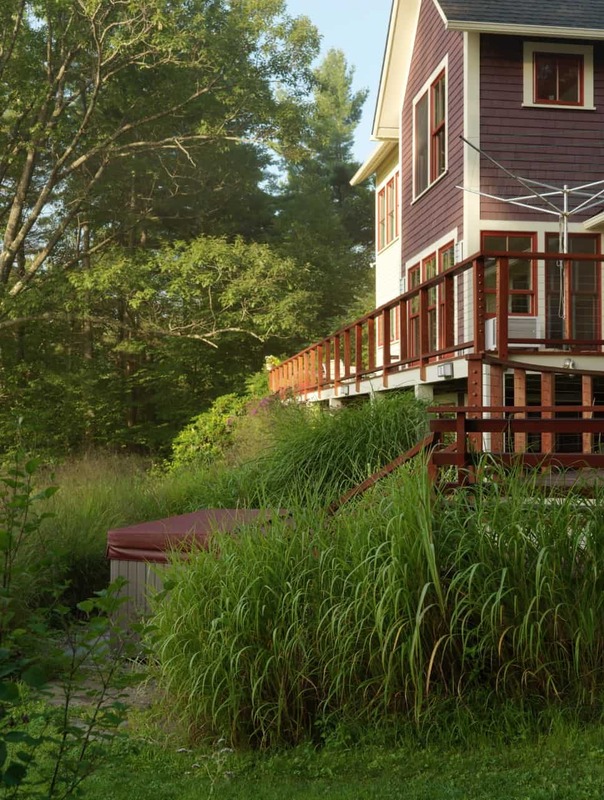 Easily accessed from the basement rec room and first-floor deck, the hot tub is immersed in rustling grasses. 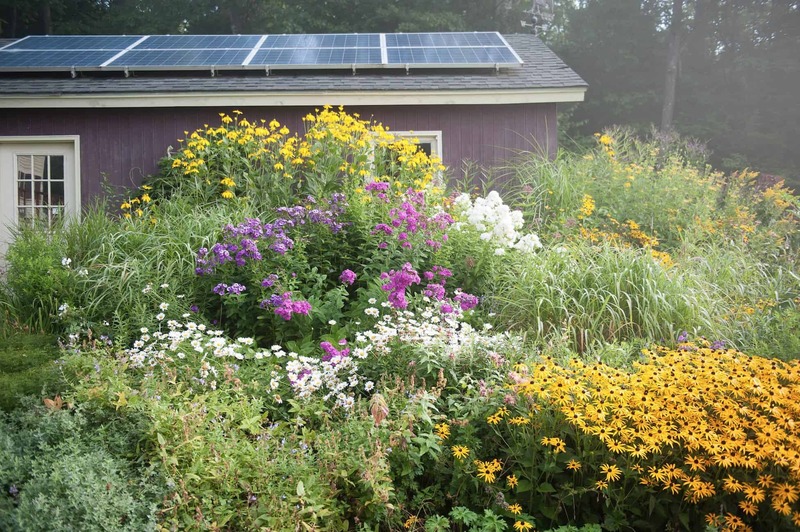 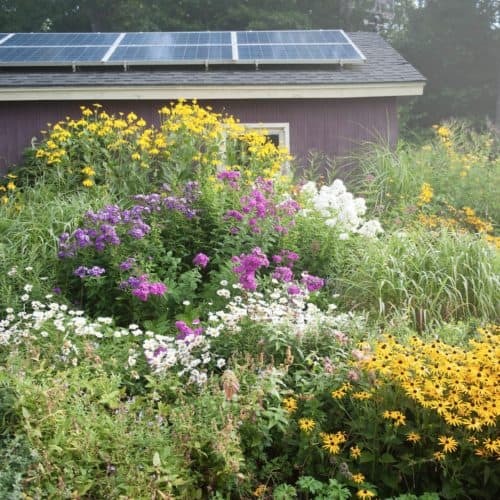 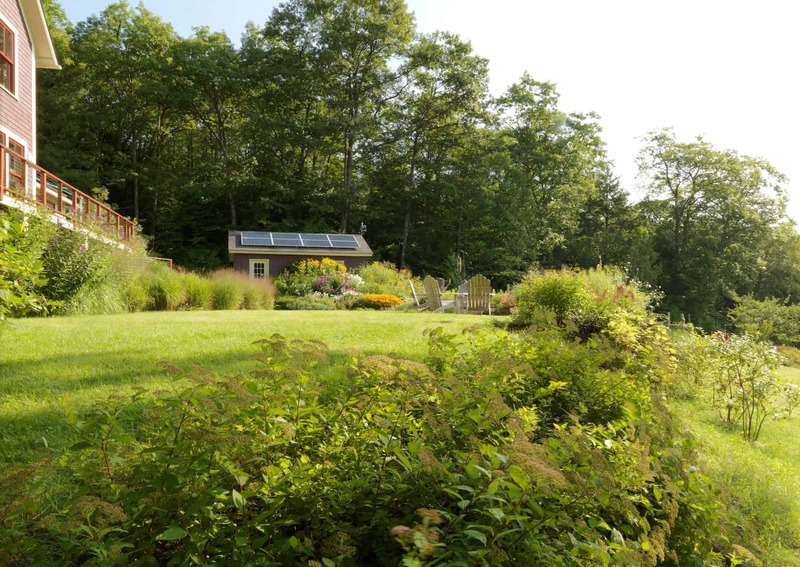 Solar panels on the garage roof power the hot tub, while masses of perennial plants perform another kind of magical transformation of sunlight. 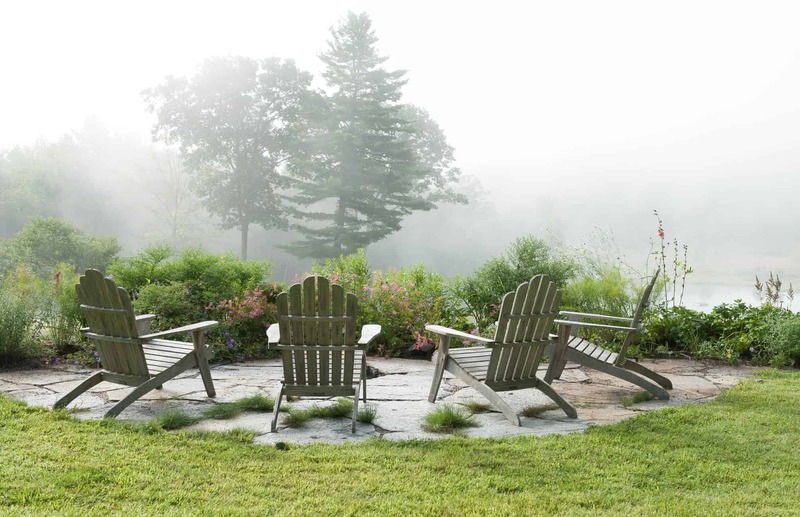 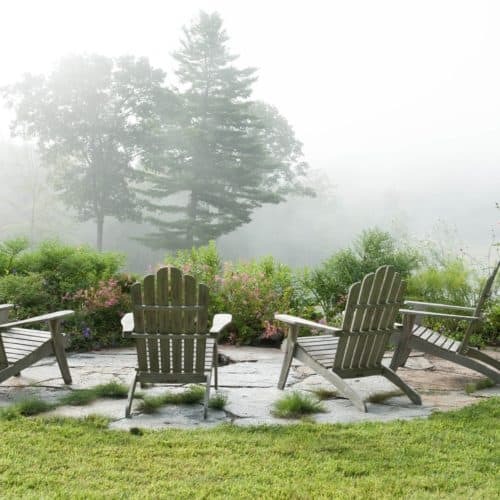 Adirondack chairs around a casual fire pit command a view of the pond, a deliberately curated selection of mature trees, and a wild beaver meadow in the misty distance.